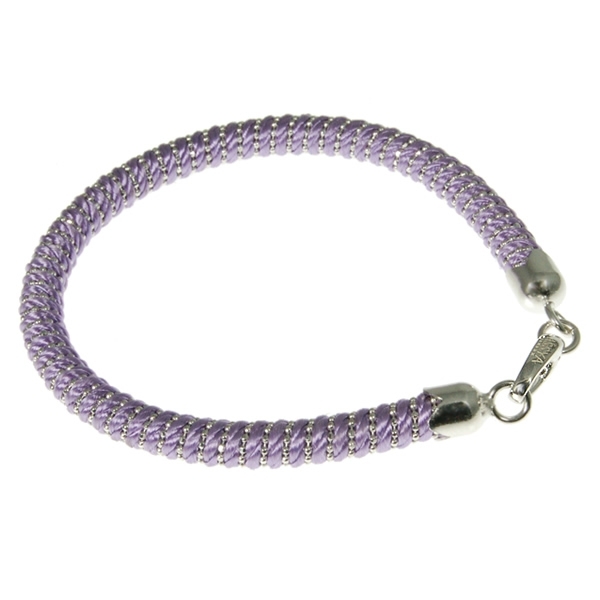 New in, this stunning friendship bracelet representing 'Peace' is made with Lilac coloured silk rope and a sterling silver bead chain which has been entwined with the silk rope to create a striking finish. 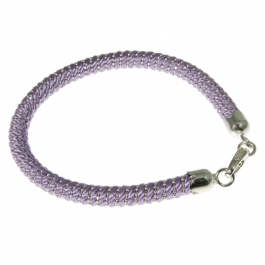 It fastens with a sterling silver clasp. A wonderful, meaningful gift, though we're sure you will be tempted to keep it for yourself! Total circumference is 19cm; approx width of band: 0.7cm. Friendship bracelets are a key trend at the moment, take a look at Assya's 'Peace & Love' collection for alternative colours and meanings. 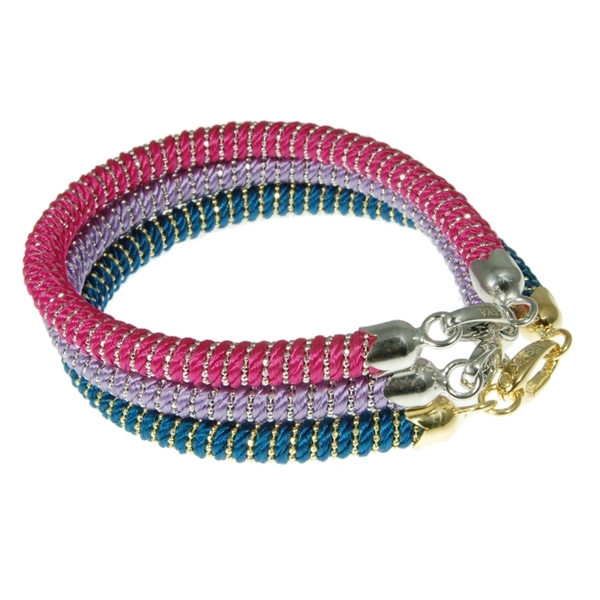 Wear alone or layer different colours, either way you'll not want to take them off!